Dryness makes skin and hair more vulnerable to toxic colours. The colours and chemicals can penetrate deep easily into dry skin and cause more damage. Also, it becomes tough to remove the colours from dry skin. Gently massage the skin with coconut or olive oil an hour before stepping out. And, also oil your hair well. It acts as a protective layer. Make sure you put some extra oil behind the ear, between fingertips, and around fingernails. Any kind of skin treatment or facial that involves exfoliation or peeling of the superficial layer of the skin is not advisable before Holi. Post-facial, the skin becomes sensitive and remains so for a couple of days. Some of the Holi colours can irritate the skin and cause serious reactions. All the outdoor fun looks exciting but the sun damage can play havoc on your skin. Tanning, pigmentation, sun allergy and more can occur due to staying outdoors for long in the sun. To prevent sun damage, wear a water-resistant sunblock with at least SPF30 for UVA and UVB protection. Eye irritation is one of the most common problems people complain after Holi. The best way to protect your eyes is to wear protective glasses while playing with colours. Mix one teaspoon of besan with two tablespoons of milk and make a paste. Add a few drops of lavender essential oil and lemon juice. Apply this paste on your body thoroughly and then have a bath. You can also use hydrating body washes and gentle face cleansers with pH balance. What is that a good moisturizer cannot do? It is important to hydrate your skin and hair after the crazy colour fun. This will help skin to repair and recover really fast. You can use a rich moisturiser or an aloe vera-based moisturiser, that will sooth the skin perfectly. Take yoghurt and add a few drops of rosemary essential oil to it. Then, apply it on the scalp. Leave it on for 30 minutes and then rinse it off. You can also make a hair mask with a banana, milk and a few drops of honey. Make a thick paste of all three ingredients and apply it on your mane. This will not only wash off the dirt and colours but also deep condition your scalp and hair. 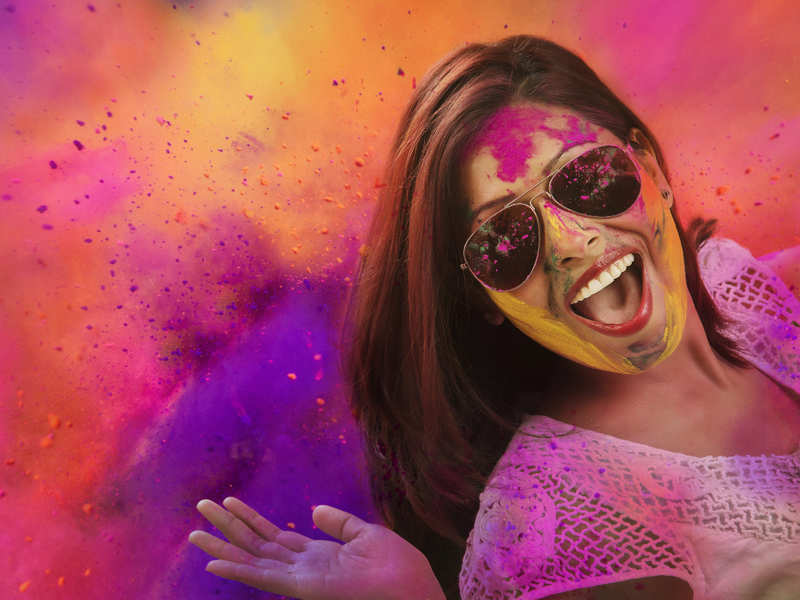 Previous Here’s how you can take care of your hair, skin this Holi!